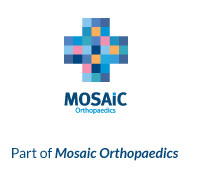 Total Hip Replacement or THR is one of the most successful operations in orthopaedic surgery. Over 100,000 total, or ‘full’ hip replacements as they’re sometimes known, are performed each year in the UK and the results are usually excellent. We often see dramatic pain relief following surgery and most patients are moving independently within just a few weeks. Our surgery offers patients full hip replacement in Southampton, complemented by a complete programme of aftercare to aid successful recovery. The vast majority of people who have a total hip replacement can return to normal activities within a few weeks of surgery. Total hip replacements can be suitable for younger patients with conditions such as hip dysplasia, or the effects of childhood problems such as Perthes’ disease. 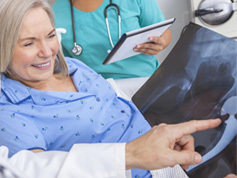 At Latham Hip Surgery the aftercare of our patients is of the upmost importance, so we offer consultations for many years after the initial hip replacement surgery. You can read more about our expert aftercare on the dedicated page. 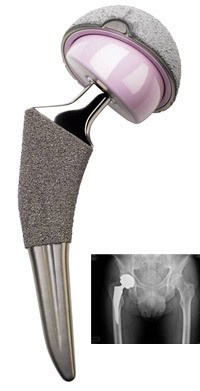 The components of a replacement hip are usually made from materials such as stainless steel, titanium and polyethylene. In some cases ceramic bearings are used. The team at Latham Hip Surgery are specialists in total hip replacement surgery and are here to help – so if you’re considering full hip replacement, call us to discuss the latest treatments available to you.